HOW WILL R4 IMPROVE YOUR EXISTING OFFENSIVE SYSTEM? R4 isn’t a new offensive scheme, it’s a total offensive solution. It’s an ever-present consultant to your game preparation, practice planning, and play-calling approach. It’s quite possibly the last four words you will ever need to seamlessly integrate your existing schemes to do more with less – less time, less players, and less coaches. R4 isn’t just about drawing up new plays, it’s about drilling down your process deeper than ever before, while maintaining clear and achievable objectives. How does the Complete R4 Offensive System work? 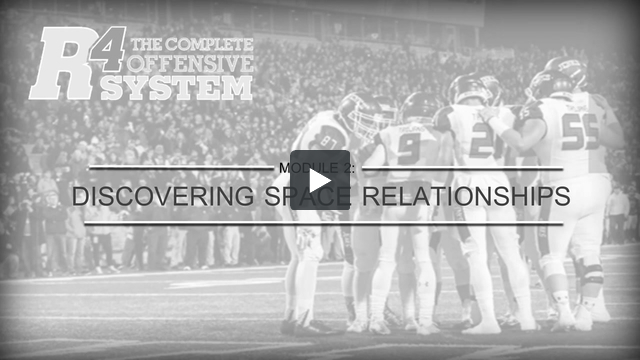 What is included with my Complete R4 Offensive System Purchase? Please note: All members can be active simultaneously however, each member can only be active online on one device at a time. Unlimited access* to all uploaded support documentation, call-sheets, practice plans, playbooks, and Automated Game Planning Grid. Special discount pricing to all R4 Concept Passing Clinics and R4 Football Systems Live Events as well as discount codes for your players to attend National Football Academies QB/WR/RB camps. Annual Renewal Fee is 50% of the Posted Annual Retail Membership fee. Renewals are payable within 15 days after the expiration date of your membership. Failure to pay will result in denial of access to the R4 Football system website content.